Instagram Element is a premium Instagram plugin for bloggers, photographers, models, and anyone looking to increase their presence on Instagram. Based off the popular Instagram Journal plugin, this Cornerstone version allows you to easily manage 50+ flexible options and create the perfect display with just a few clicks. 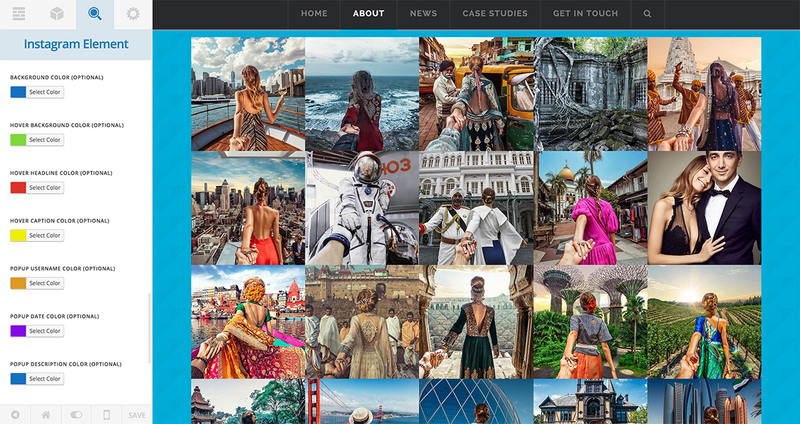 Furthermore its’ mobile, responsive design allows you to showcase your photos beautifully on any device! Simply add your username and let the selfies roll! 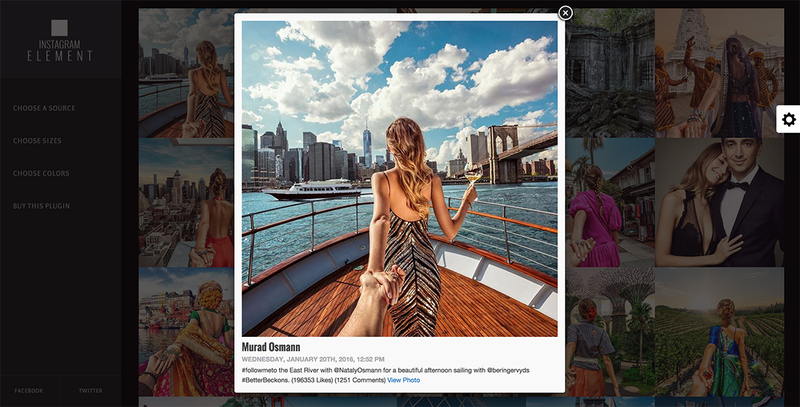 Instagram Element is easy to use and has an extensive selection of options. We listened to your feature requests and created a brand new product that includes them all. See the list below for more details! 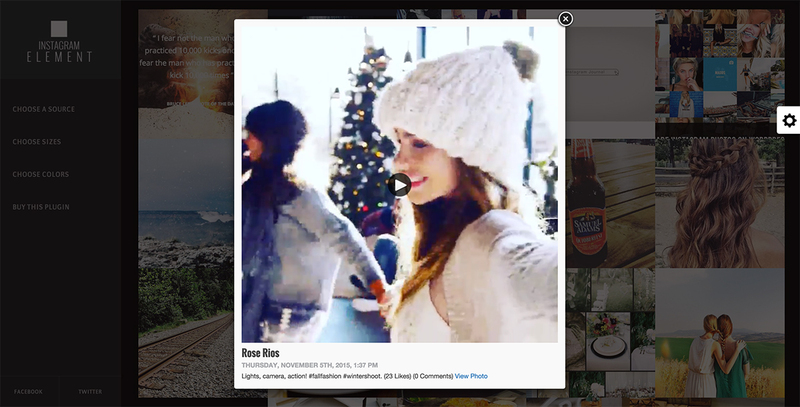 Popular Instagram Feed Mode (Deprecated) - This feed mode pulls in the photos from the Instagram popular feed. 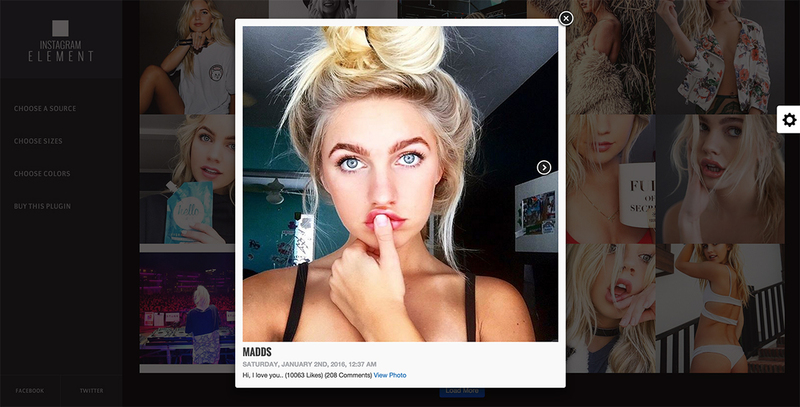 User Instagram Feed Mode - This feed mode allows you to specify a user id to pull in photos from a specific user. 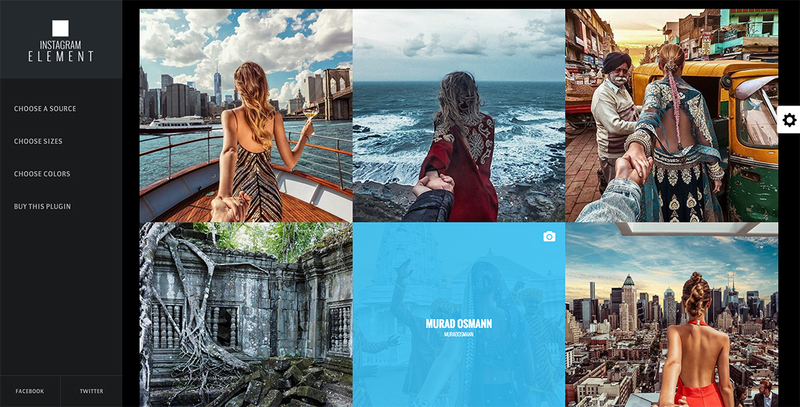 Multiuser Instagram Feed Mode - This feed mode allows you to specify multiple user id’s to pull in photos from specific users. Note, this feature does NOT allow load more functionality. 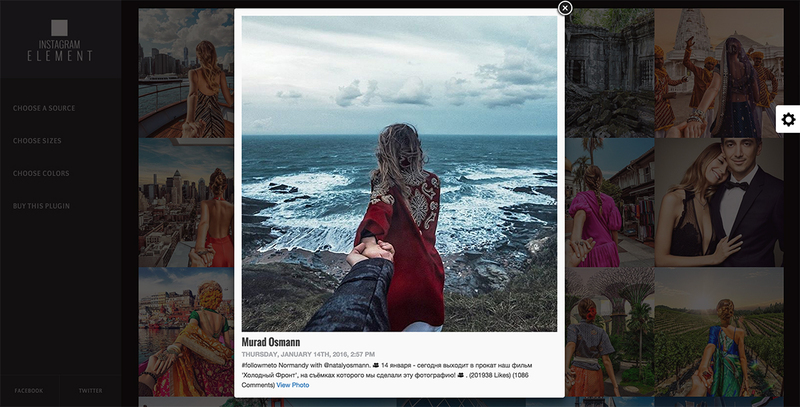 Tag Instagram Feed Mode - This feed mode allows you to specify a hashtag to search from the Instagram API. Multi Tag Instagram Feed Mode - This feed mode allows you to specify multiple hashtags to pull in photos from specific users. Note, this feature does NOT allow load more functionality. Location Instagram Feed Mode - This feed mode allows you to specify location id to pull in all photos taken in a given location. User Liked Instagram Feed Mode - This feed mode allows you to specify a user id to pull photos that were liked by a specific user. Photo Limit Control - After many requests for this feature, we’ve now provided a way to limit the amount of photos loaded in by the API. Responsive HD Video - Pull in all of your favorite videos and share them with the world. Each video player is fully responsive and supports fullscreen mode on desktop and mobile devices. Fully Customizable Options - This plugin features an array of options for your galleries to allow you to control animations, transitions, speed, and easing. Mobile Retna Ready - Designed and tested to work well any mobile device including iPhone, iPad, and Android Support. Support is our mission! – To help you get started, we have provided extensive documentation code examples and screenshots. In addition, you can contact us with any question, issue, or feature request! Support our top priority so don’t hesitate to reach out! Fixed Non Square Photo Bug.